Check out Hunter Library's latest news about services and resources to support learning, teaching, and research at WCU. Open Access Week, a global event now entering its ninth year, is an opportunity for the academic and research community to continue to learn about the potential benefits of Open Access. This year’s event will take place October 24-30, 2016. “Open Access” to information–the free, immediate, online access to the results of scholarly research, and the right to use and re-use those results–has the power to transform the way research and scientific inquiry are conducted. Open Access has the potential to maximize research investments, increase the exposure and use of published research, facilitate the ability to conduct research across available literature, and enhance the overall advancement of scholarship. 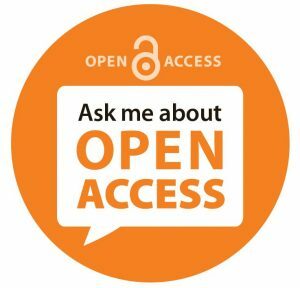 Research funding agencies, academic institutions, librarians, researchers and scientists, teachers, students, and members of the general public are supporting a move towards Open Access in increasing numbers every year. Open Access Week is a key opportunity for all members of the community to take action to keep this momentum moving forward. This year, Hunter Library will be sponsoring a daily event during the week of October 24 to help faculty boost their scholarly profile. Details will be announced soon. More information about Open Access is available at http://researchguides.wcu.edu/openaccess. National Library Week- Edible Book Contest, April 11, 10 A.M.-2:30 P.M.